Nice ballpoint pen made of brass (without nickel), with triskel, a celtic symbol. 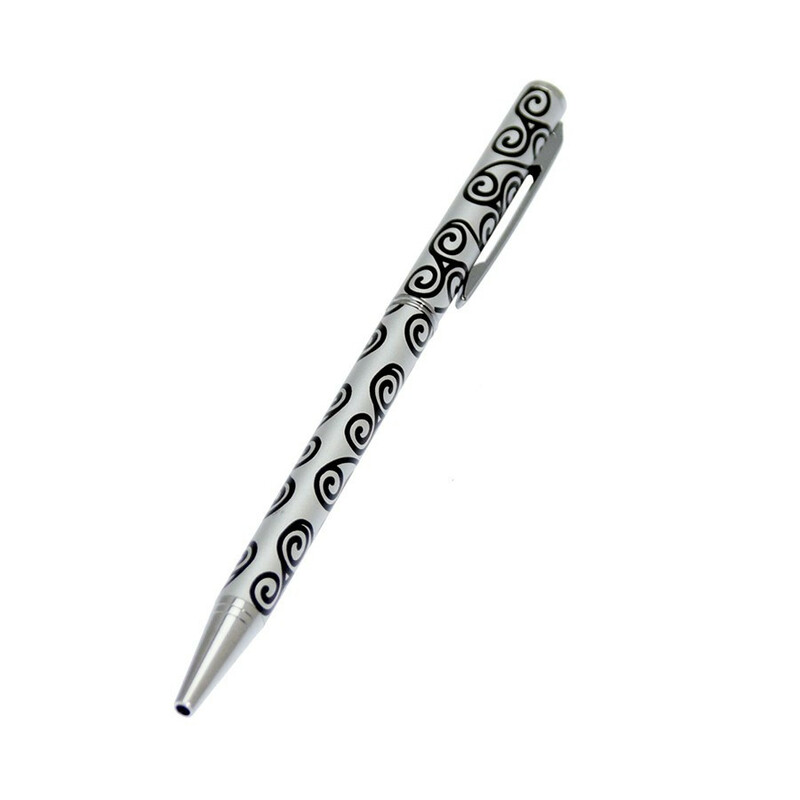 This is a black ballpoint with famous celtic symbol "triskel", representing the life, regarded as a lucky charm or in sign of three dynamics elements representation : water, air and fire. Made of brass (without nickel)..
Made of brass (without nickel).